3 x 1in Polishing wheels. 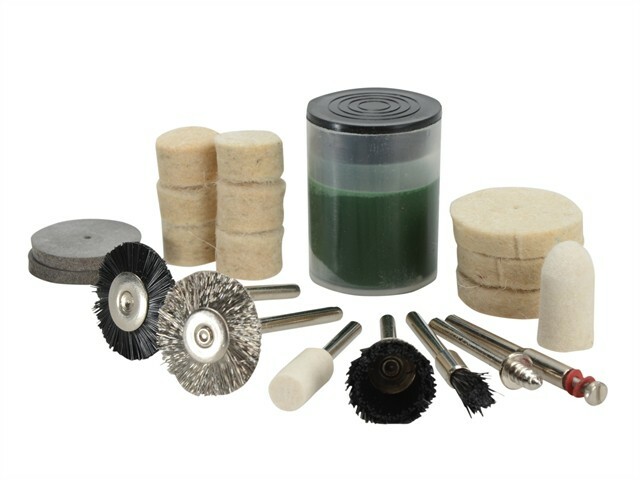 1 x Felt polishing wheel with shank. 3 x Nylon brushes: 7/8in, 1/2in, 1/8in nylon brush. 1 x 7/8in Steel brush. 2 x 7/8in Emery polishing wheels. 1 x Felt polishing tip. 6 x 1/2in Felt polishing wheels.